-Somewhere between 8% and 15% of people are left-handed, and only half as many women are left-handed as men. -The Incas thought that left-handed people had special spiritual powers. Pretty much everyone else thought that left-handed people were either just unfortunate, or pure evil. -Left-handed people tend to be smarter than average. They also tend to be dumber than average. In other words, lefties are more likely to be at one end of the spectrum than in the middle. -On average, left-handed men who graduate college are 26% richer than right-handed men who do. Nobody knows why, and this doesn’t apply to women. -50% of left-handed people use a mouse right-handed (and I’m one of them). You want to know why 50% of left-handed people use a mouse right-handed? It’s the man, man. The establishment. The right-handed industrial complex. So thank you, Razer, for helping us break free of the oppression and tyranny of the right-handed world… Who cares if nobody buys your mouse because we’re all used to right-handed ones? You’ve struck a mighty blow this day, a mighty blow for the forces of all that is just and good and right in this world! Er, wait. Left, I meant left. 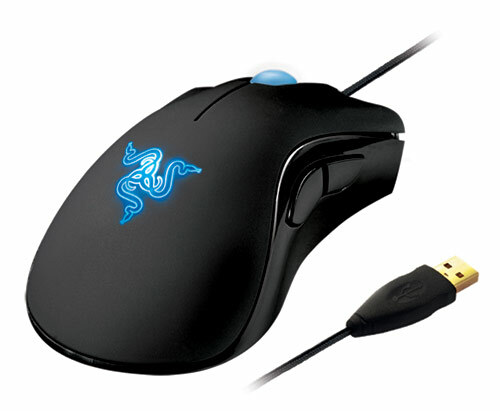 As far as specs go, the DeathAdder is more mouse than you’ll ever need (3500dpi Razer Precision 3.5G infrared sensor, five independently programmable “Hyperesponse” buttons, and it’s wired as all serious gaming mice are), and it’s yours for $60. 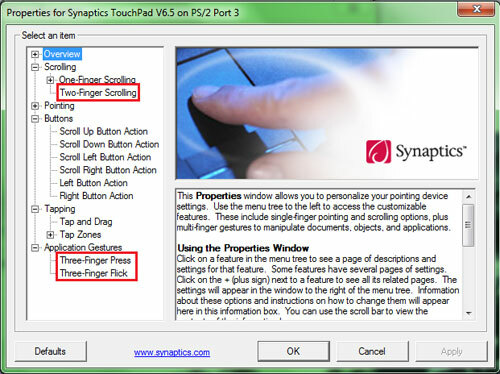 It’s a good day to have a PC with a Synaptics touchpad, as a driver update has enabled multitouch functionality on even for those of us with older touchpads that were previously not multitouch capable. 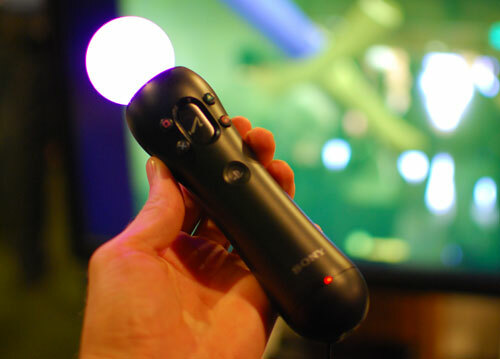 The most useful feature is probably two finger scrolling, but you also get ChiralMotion (which allows you to scroll up and down at different rates by making counterclockwise and clockwise single finger gestures) and three finger taps and flicks (which allow you to launch apps, and move back and forth in your browser and in slideshows). It always gives me a warm and fuzzy feeling inside when companies update software for older computers to give them new and improved capabilities, so kudos to you, Synaptics. You can download the driver install package directly from HP, there’s a version for Windows XP as well as Windows Vista and 7. Rather than being powered by a conventional engine, someone decided that it would be a good idea to install itty bitty rocket engines on the tips of the blades of this helicopter to power it. And the really scary part is that it works. Very well, in fact. The hydrogen peroxide rockets (the same things that power most jetpacks) produce no pollution and are supposed to be significantly more stable than their conventional counterparts due to the lack of, um, an engine. In fact, there’s really nothing to the helicopter at all apart from a seat and some big fuel tanks. Called the Dragonfly, it can stay aloft for 50 minutes and has a maximum speed of 40 mph. The Dragonfly has completed a successful series of flight tests and obtained its airworthiness certificate last November, so it’s currently on track to be for sale sometime this year. This is actually not the craziest thing you can do with a rocket propelled airfoil. The craziest thing is to use model rocket engines, one blade, and then just forget the rest of the helicopter. Check that out along with an article on monocopter UAVs over on BotJunkie. Less than $100 probably means $99.99, but that doesn’t change the fact that the 2.5″ Onyx SSD from OCZ is actually in the realm of casually affordable, a first for SSDs. We’re used to seeing SSD drives that offer incredible performance, but at a price point that makes most of us just sigh sadly. 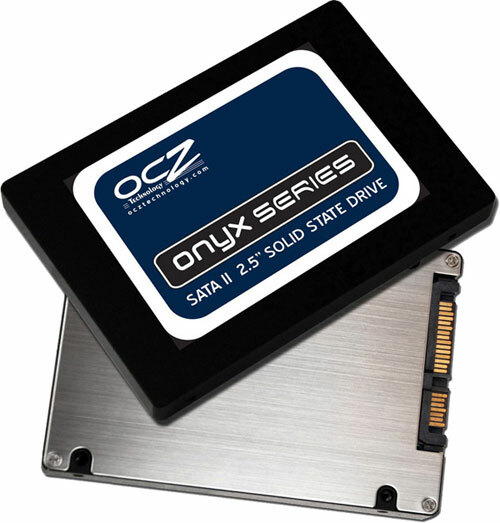 The OCZ Onyx, while offering only modest speeds (125 MB/s read and 70 MB/s write) relative to other SSDs, is still fast enough that you’d notice a significant difference in load times if you stick your operating system on it. Unsurprisingly, the drive only has a capacity of 32 gigs, so your operating system may be the only thing you can stick on it, but that’s okay. Even if the speed and size aren’t that impressive, don’t forget about the other benefits of SSDs: they’re light, shockproof, durable, and use up a heck of a lot less power than conventional drives since they don’t have anything inside them that needs to be kept spinning at several thousand RPM all the time. $100 is not going to get you some kind of incredibly awesome SSD drive. But it will get you this SSD drive, which, for the cost, is way better than no SSD drive at all. The FCC, in a remarkable display of optimism, has decreed that as part of the national broadband plan that they’re about to present to congress, 100 million Americans will have 100 Mbps internet by, um, 2010. Good luck with that, fellas. Anyway, it’s not like the FCC is going to start offering you high speed internet packages for cheap; rather, they’ll be trying to get congress to pass legislation to prod telecoms into pulling the US out of a glorified dial-up age. As part of that process, the FCC would like to know how fast your internet is. By finding out where broadband service is the worst (or doesn’t exist), they’ll know where to focus their resources, with the welcome side effect of exposing the differences between the kind of services that telecoms promise, and what they actually deliver. So obviously, the most productive thing you can possibly do is to download a bunch of movies as you’re running the test, since the worse your internet is, the more likely that the FCC will pay attention and get somebody to do something about it. If you’ve been reading OhGizmo for the last 5 years, you might recognize VirtuSphere from this 2005 post. Since then, not too much is different, besides that VirtuSphere seems to be trying to open up to a new market that’s not the US Army or NASA: gamers. 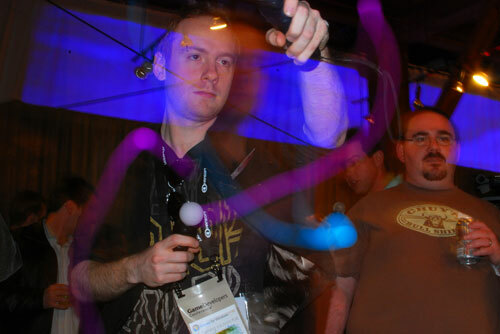 VirtuSphere is at GDC hoping that someone will step up and port some worthwhile games to their system. Like, you know, Halo 3. Meantime, what they have in the works is a gameshow that (as far as I can tell) involves two people in two VirtuSpheres trying to virtually kill each other or something. If you want to try one of these out, you’ll be able to find it in the Excalibur in Las Vegas in about a month, or if you just can’t wait, expect to pony up about $55,000 for one of your own.